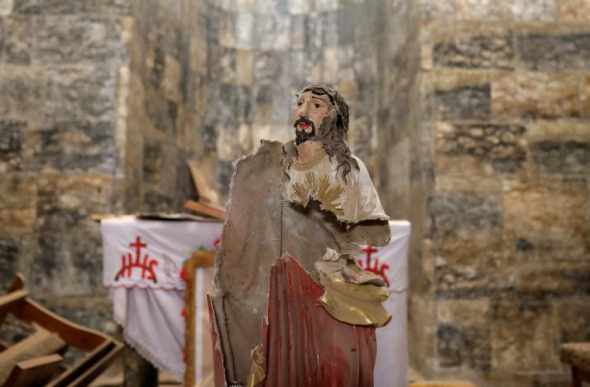 With churches destroyed and desecrated, crosses distorted, and Jesus statues beheaded by ISIS, it looks as if “Armageddon” happened in Qaraqosh, said a U.S. pastor who recently visited the formerly thriving Christian city in Iraq’s Nineveh Plain. “One would have thought Armageddon had already taken place,” Pastor William Devlin of Infinity Bible Church in the Bronx, New York, and president of REDEEM, which provides funds to persecuted people across the world, told The Christian Post late last week. “Stately stone homes, thousands of them burned by the Islamic State beginning in August 2014 and continuing through October 2016; every business gutted, its metal drop down doors, each littered with Arabic graffiti — ‘We are the sons of Muhammad; Christians and Jews are the sons of apes, monkeys and pigs;’ every cross and crucifix distorted, bent or ravaged into a dystopic mess. 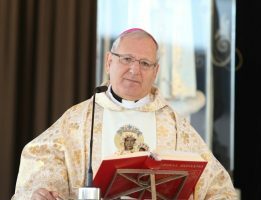 “The destruction is total — in the sense of buildings, businesses, homes and churches — but the destruction is far wider in the hearts, souls and minds of those Christians who fled this city on August 6, 2014,” he commented. Devlin has visited Iraq multiple times now, helping provide relief for displaced Iraqis, and partnering with a network of underground rescuers that are assisting women and girls to escape the clutches of the radical terror group. Though statistics vary, reports all point to the dramatic exodus of Christians from Iraq. Iraqi Christian lawmaker Josef Sleve told Anadolu Agency earlier in May that over the past 14 years, some 1.5 million Christians have emigrated to other countries, with somewhere between 500,000 and 850,000 followers of Christ remaining. Devlin said that the Nineveh Plain, which hosted the largest part of the country’s Christian population for almost two millennia, now only has 200,000 Christians. “Armageddon has arrived for our Nineveh Plain and Iraqi sisters and brothers,” the pastor stated. Still, there have been reports showing that some former Qarakosh residents have decided to return to the ravaged city to assess the damage, and figure out if rebuilding their lives there is possible. The Atlantic article revealed that a handful of families moved back to the city, despite security concerns still high over Islamic State and its battle for control of nearby Mosul. Organizations such as Aid to the Church in Need and others have been helping in rebuilding efforts across the Nineveh Plain, Fox News reported earlier this month. Some 13,000 houses are to be built in a venture that will cost close to $250 million. 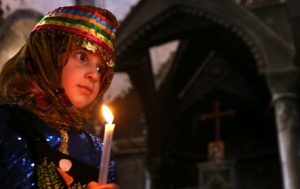 “For a long time people have been saying that Iraqi Christians don’t want to return home,” said Robert Nicholson, executive director of The Philos Project. Devlin told CP that many other Christians are deciding not to return, however, because there is no promise of security to protect them. “Many former residents of Qaraqosh I have personally spoken with, are distrustful of KRG-Kurdistan Regional Government and particularly the Peshmerga of protecting them, establishing societal infrastructure [such as] water, sewer, electricity,” he said of people’s political concerns. Devlin noted that for some, the emotional and psychological question of how many of their Muslim neighbors are either open or secret sympathizers of IS also remains a big factor. “There have been multiple reports of Christian and Yazidi homes/businesses being pilfered/ransacked by Muslim neighbors and even the Peshmerga,” the pastor explained.